Heading into the final weekend of the regular season is a great time to reflect on all of the awesomeness we witnessed -- including happy beginnings in Vegas and happy endings in Vancouver. Plus, Jersey Fouls of the week, puck headlines and much more. 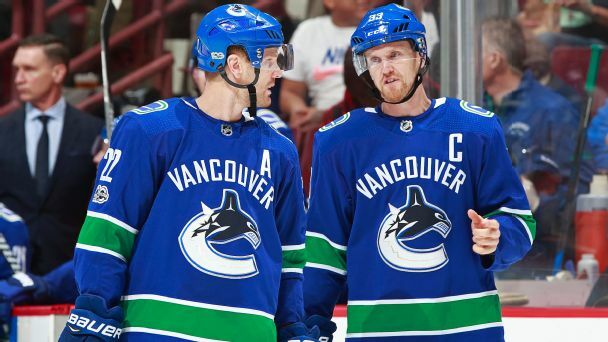 Roundtable: What's next for the Sedins, Canucks? Future Hall of Famers Henrik and Daniel Sedin are retiring after this season. Our NHL experts weigh in on the Sedins' legacy and how Vancouver should spend that extra cap money -- and speculate about what the twins will do with their newfound free time. 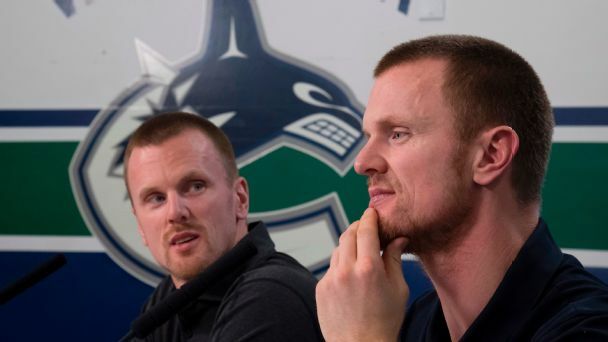 Henrik Sedin and his twin brother, Daniel, will retire after this season, having played 17 seasons in Vancouver. 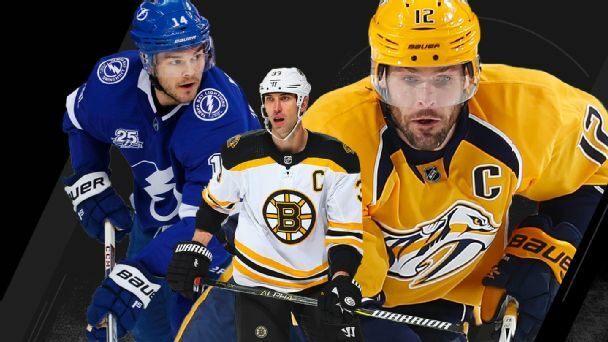 Our writers face off on the NHL's most pressing topics, including this season's biggest surprises, the goalie most likely to get hot this postseason, the Sedin twins' 2018-19 destination and which New York-area team will be most attractive to free agents. Could this be Zdeno Chara's swan song in Boston? Is Roberto Luongo long for the Panthers? 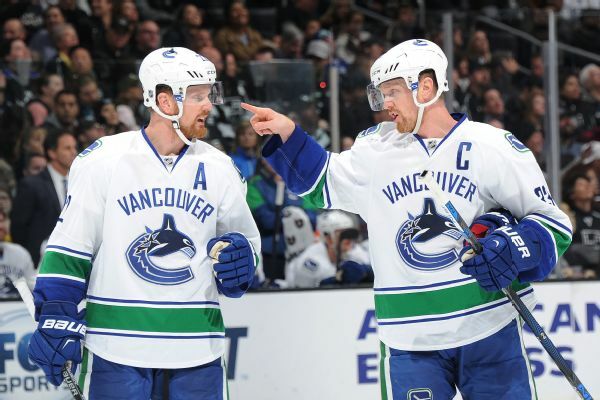 Are the Sedin twins' days numbered in Vancouver? This week's rankings feature a player -- or coach -- who could depart from each team after this season. 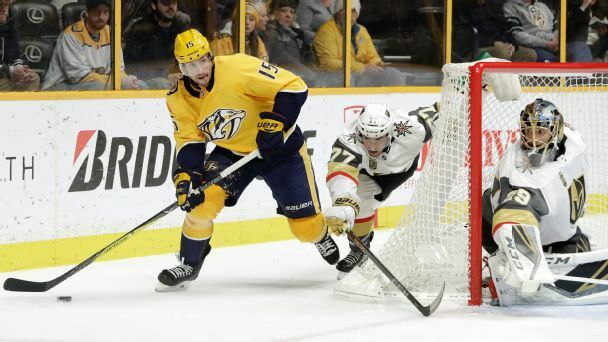 Our writers tackle the pressing questions as the regular season winds down, including whether division leaders Nashville or Vegas could lose in the first round, who will be the postseason's breakout star and which teams should spend big in free agency. Evan after the Sedin twins' retirement, there remain high-priced (and past-their-prime) veterans taking up big chunks of cap space despite the presence of encouraging youngsters. Here's what GM Jim Benning and his staff should do this summer. 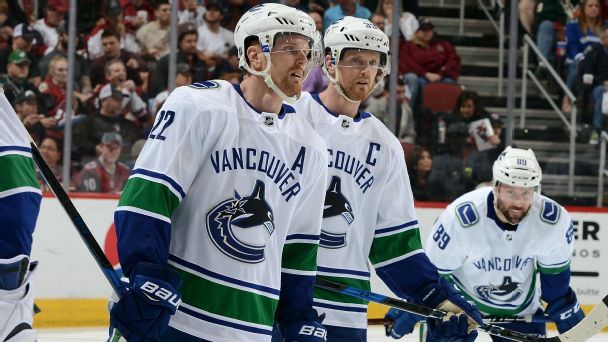 Is this the last hurrah for the Sedin twins? 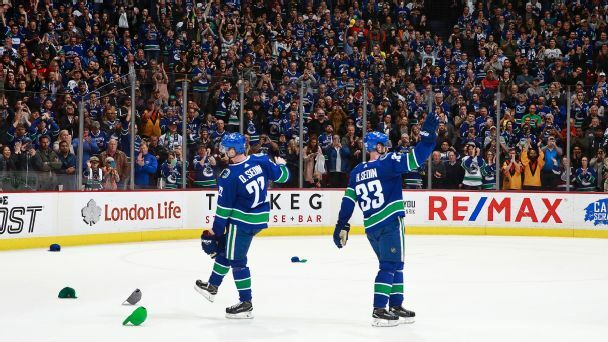 As Daniel and Henrik near the end of their contracts with the Canucks, a look at what made them such a special pairing on the ice -- and what they've got left in the tank for 2018-19 and beyond.